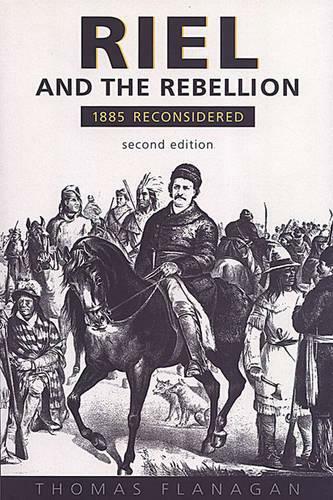 When, in 1983, the first edition of Riel and the Rebellion was published, the scholarly controversy concerning Thomas Flanagan's interpretation of the Rebellion of 1885 escalated to one of national significance. One of the few books that presents a countervailing view to the traditional interpretation of the events of 1885, Riel and the Rebellion contends that the Metis were, to some extent, responsible for the alienation of their lands, and that Riel himself was a more destructive than constructive force in the history of western Canada. After over fifteen years, issues such as land claims and native rights have in fact moved beyond the level of academic debate; Flanagan's work remains timely and the additions to the book in this new edition reflect the continued currency of its content. In the second edition, the author addresses a number of issues, including the cultural mythology surrounding Riel, the recent campaign to pardon Riel (with some discussion of a theory that contends that Riel's trial was unfair), the Manitoba lands question, and new primary research conducted by Flanagan concerning Metis land claims at Laurent. Undoubtedly, this unique work will continue to spark controversy and garner attention because of its relevance to many larger contemporary political debates concerning native rights and land claims.